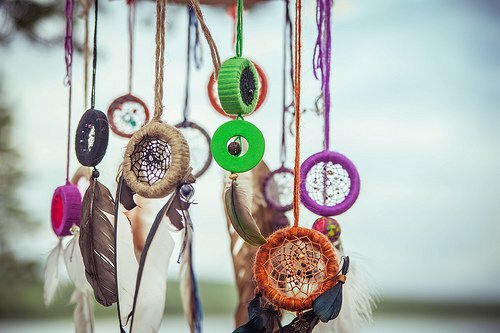 On Thursday, Jan. 16, the Loveland Public Library is hosting a free, hands-on workshop that teaches preteens and teenagers how to make a dream catcher. Dream catchers are a traditional craft of the Native American people. In the past, they were handcrafted from items found in nature including twigs, sinew, and feathers. They were believed to protect one from bad dreams. Basically, bad dreams would have to pass through the dream catcher in order to get to the sleeper. These dreams would be unable to find their way through the web of the dream catcher and thus become tangled up. They would remain trapped in the dream catcher until the sun rose the next morning, at which point they evaporated. While a dream catcher may or may not ensure quality dreams, they are quite beautiful and would be a great addition to your child’s bedroom. Plus, your child can have a great time joining in with others from the community to learn how to make a dream catcher. This workshop will be held at 300 N. Adams Ave in Loveland, Colorado from 4 p.m. to 5 p.m. The workshop is open to anyone in sixth grade through high school. While the workshop is free, registration is required and space is limited. To register, go to the TeenSeen desk at the Loveland Public Library or call 962-2548. For more information on the DIY Dream Catcher workshop, please visit the Loveland Public Library event calendar.